This may be an appropriate time to mention publicly that I and several other Christians have watched with our own eyes a video which Ron shot inside the cave before the furniture was re-arranged. The crack in the roof was clearly visible with the Blood still on it; the table was there in close-up, and many piles of skins. The Ark was there, but was covered by a brilliant white light which hid it from the camera as Ron panned around the cave. I was an eye-witness of Ron’s tape of the inside of the cave. I wasn’t with him when he shot it, but I saw the tape not very long afterwards. I have never had any instruction from the Lord to keep silent about it in general. Indeed, Ron himself was keen that the tape should be seen widely. Events turned out otherwise however, and the last order I had from the Lord was not to remove it from its present safe location. That obviously precludes public discussion of where it is. But for what it’s worth I’m happy to answer any questions I can about the tape, and what I saw on it. I last viewed it some years ago and my visual memory is not great (I’m far better with words). However by the same token my visual imagination is pretty bad too, which is probably a good thing for this purpose. > 1. How long is the video tape? > 2. What quality is it? Shaky? Steady? On a tripod? In color? Steady and in colour. From what I can recall I’d say it was almost certainly shot using a tripod and a single camera light, which Ron moved about in between shots from one part of the cave to another so as to get pictures of the contents from different angles. > What type of lighting used? Good quality or poor? Grainy footage or clear? > 3. Did you see any angels on the tape? > 4. Was there a time stamp on the tape itself that was displayed on the screen? > 5. How long ago did you see it? > 6. 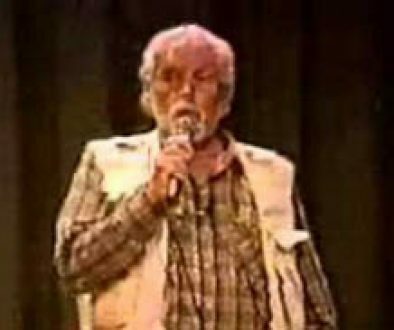 Have you ever talked to Ron about the tape? If so what did he say? > 7. The person(s) who have the tape are they waiting for the right time to release it? Did Ron give it to him/her/them or what’s the reason for them holding it back? > 8. From your perspective is this the tape where Ron took out the tables of stone? Was this before or after that event if it’s not the same footage. > 9. How many people were with you when you viewed it and where did this occur? Australia? > 10. Does Ron say anything on the tape? If so what does he say? > 11. What does the Table of Showbread look like? > 12. Did you see the 7 branch candlestick and if so what did it look like? > 13. You said you saw the skins piled up in a corner. > What conditions were they in? > 14. Did you see any other object in the cave and if so what were they? At the time I thought that this tape was going on general release and that I’d be getting a copy sometime, so I didn’t make any mental notes. But I do remember seeing the stone box in which the Ark had been stored, with its lid moved to one side. I have a feeling that Goliath’s sword was there, but I have no particular mental image of it; just that we discussed it between ourselves, and the reason for our discussing it was probably that it was in there. 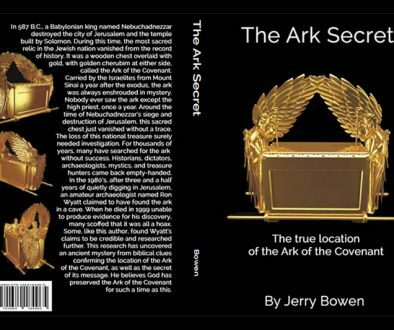 Of course the dominant feature was the Ark itself, and the fact that it was hidden by a brilliant white light. As Ron panned the camera around, a circle of light moved across the field of view until it filled the whole screen, then it moved off again at the other edge. Ron’s verbal account of this was that the effect was only on the tape; no such light was visible to him inside the cave where he saw the Ark plainly. It was only when he viewed the tape afterwards that he saw that the light had covered the Ark for the purpose of the recording. The other notable feature was the crack in the roof of the cave with the dark stain of blood on one side of it, about the size of one’s hand I should think. (The roof was not high; a man would probably have had to stoop to avoid hitting his head). Seeing the blood there was the most moving thing to me. I think if the Lord had wanted somebody to give a detailed account of the tape He would have chosen somebody other than me to see it! My powers of visual observation and retention are famously bad. My principal contribution to this debate is simply that I can testify to having seen that tape, that it showed exactly what Ron said it did, and that I was awed at what I saw. I think we all were. > 2. 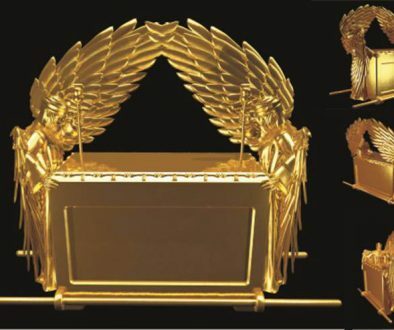 How close to the ceiling was the ark of the covenant stone case? > 3. Was the chamber cleared out? Like was Ron shooting the video from the floor of the chamber or was he standing on stones or what? You said he was close to the ceiling any thoughts on how close? > 4. Was the stone case that held the ark in the middle of the chamber or up against one of the sides? > 5. Did you see any openings into the chamber or the shape of the chamber? > 6. Did it look like Hi-8 video or something older? I guess he certainly could, but ….. amazing as it sounds to us here, he has forgotten the cave sequence completely, as A. S. and I discovered when we called upon him for the express purpose of having a look at it – in A’s case for the first time. Now in the context of our uneventful little lives, that sounds hard to believe; that anybody to whom these things mean so much could actually forget such a unique thing in his possession! This man is a Spirit-filled believer in the Lord, and is deeply appreciative of the significance of these matters. He supported Ron and contributed significantly to Ron’s work, so he isn’t ignorant. But he is a man to whom strange, and sometimes dangerous, things just happen. The same was true of his father, so it runs in the family. I have sometimes said that, if and when World War Three breaks out, it will be six feet away from where this man happens to be standing at that moment; a bit like being the guy who happened to be standing next to Crown Prince Ferdinand when he was shot in 1914. This man has about a dozen of Ron’s tapes, but he has not sat down and catalogued them, and to do so would necessarily take up a fair bit of time. His wife too is the CEO of a multi-million business. I hope I have given you something of the picture. People like this do not sit about in the evenings flicking through the TV channels. They live very full, and sometimes dangerous, lives. But for all that, it would be hard to think of a more suitable man to be keeper of something like this. He is completely fearless; and he is very well aware of what is going on in the world behind the scenes. His friends and contacts are too. I believe RON on all that Jesus showed him. I was wondering as the angels in the room where he finally got to the Ark of the Covenant had him seal up the opening as it will be reviewed at the right time, I am thinking it will be in the 7 years of tribulation before the second coming of Jesus. I believe in the Rapture and that saved believers in the twinkle of an eye will be caught up with the dead with Him in the air just before the tribulation. Hello Eva. I too believe Ron’s testimony of his findings and look forward to the privilege of seeing the ark for myself. I just wanted to comment on your statement on 7 years of tribulation. It’s not a biblical position and neither did Ron believe that. Please look more into it to find out for yourself whether the Bible teaches it or not.